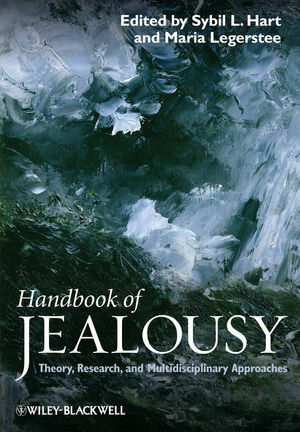 Through a compilation of original articles, the Handbook of Jealousy offers an integrated portrait of the emerging areas of research into the nature of jealousy and a forum for discussing the implications of the findings for theories of emotional and socio-cognitive development. Sybil L. Hart is a Professor in the Department of Human Development and Family Studies at Texas Tech University. Professor Hart is the recipient of the Chancellor’s Council Award for Distinguished Research and the Presidential Book Award from Texas Tech University. Her groundbreaking studies on infant jealousy have been published in Infancy, Social Development, and Child Psychiatry and Human Development. She is also the author of Preventing Sibling Rivalry (2001). Her research on infant jealousy has been funded by the National Institutes of Health-National Institute of Mental Health (NIH-NIMH). Maria Legerstee is a Professor in the Department of Psychology, Faculty of Health, York University, Toronto, Canada, and the Director of the Centre for Research in Infancy. She is the recipient of the Dean’s Award for Outstanding Research. Her research focuses on social cognitive development from infancy through early childhood. Professor Legerstee is also the author of Infants’ Sense of People: Precursors to a Theory of Mind (2005); co-editor of a special journal series with Vasu Reddy entitled What Does It Mean to Communicate for Infants? (2007); and co-editor of Early Socio-Cognitive Development: An Integrative Perspective with David Haley and Marc Bornstein (forthcoming). Professor Legerstee’s research is funded by the Social Sciences and Humanities Research Council (Canada).